When you choose Cornerstone Chem-Dry professional carpet cleaners you get a deeper clean, faster-drying carpets and a healthier home for you and your family. We provide carpet cleaning services for Dallas, Collin, Denton, Tarrant and Rockwall County. We don’t just stop at carpets either! We are your complete solution for area rugs, upholstery, tile and grout cleanings as well. DRIER. Our cleaning process uses 80% less water than typical steam cleaning, so carpets dry within hours, not days. This means you and your family can get back to enjoying your home sooner. See a full comparison of Chem-Dry vs Steam Cleaning to see all of the benefits of choosing Cornerstone Chem-Dry carpet cleaners. We understand that you have a choice in carpet cleaners. But not all carpet cleaning services are alike. To find out how big an impact a Chem-Dry cleaning can have on home health, we thought it would be helpful to measure how effective our cleaning process is in eliminating unhealthy and unwanted elements from your home. So we commissioned a leading independent air quality laboratory to conduct a study using Chem-Dry’s Hot Carbonating Extraction (HCE) process in multiple homes. 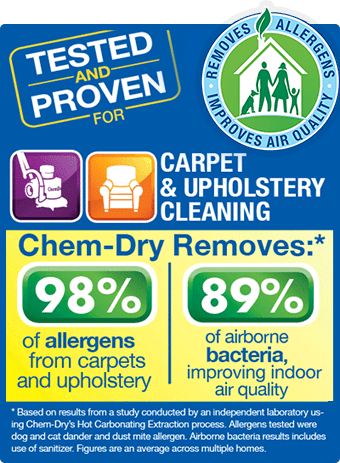 The lab found that Chem-Dry carpet cleaner removes an average of 98.1% of common household allergens such as dust mite allergens and pet dander from the carpets and upholstery we clean and found that, when adding sanitizer to our HCE carpet cleaning process, we removed an average of 89% of the bacteria in the air and 82.3% of the bacteria from carpets. With Cornerstone Chem-Dry carpet cleaning services in Garland TX, you can breathe easier about the healthfulness of your home for your family. Our mission is helping people like you live healthy lives, which starts with clean carpets and a healthy home. Our proprietary hot carbonating extraction cleaning process penetrates deep into the fibers, removing an average of 98% of common household allergens from carpets and upholstery and 89% of the airborne bacteria in your home when a sanitizer is added. Plus, our green-certified solution, The Natural®, contains no soaps or detergents so it’s safe and non-toxic for your family & pets. And, we use 80% less water than typical steam cleaning so carpets dry in hours instead of days, making it the safer and more convenient carpet cleaning choice. All of this means Cornerstone Chem-Dry cleans for your health like no one else. Up to 200 sf per room, 50 sf per hall. Stairs extra. Minimums and disposal fee apply. Not valid with other offers. Hot Carbonated Extraction Cleaning Method. Expires 05/02/19. Call Cornerstone Chem-Dry at (972) 690-7272. Min $150 plus $45 pickup and delivery fee applies. Minimums and disposal fee apply. Not valid with other offers. Hot Carbonated Extraction Cleaning Method. Expires 05/02/19. 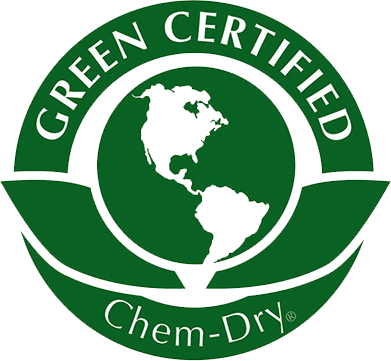 Call Cornerstone Chem-Dry at (972) 690-7272. Minimums and disposal fee apply. Not valid with other offers. Hot Carbonated Extraction Cleaning Method. Expires 05/02/19. Call Cornerstone Chem-Dry at (972) 690-7272.